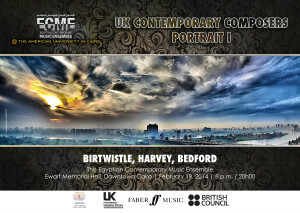 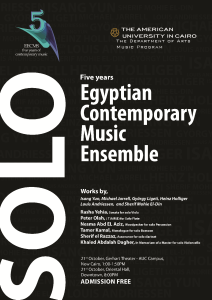 Established by the European-Egyptian Contemporary Music Society e.V in 2010, the ECME presents a series of concerts every season as Guest Artists of the Department of Performing and Visual Arts at the American University in Cairo . 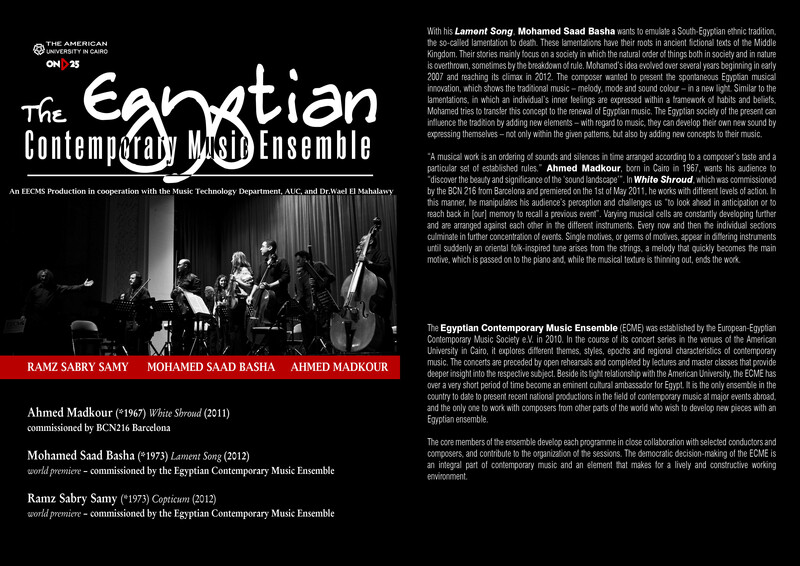 This gathering of some of the finest Egyptian musicians from several generations serves to foster new composition and performance. 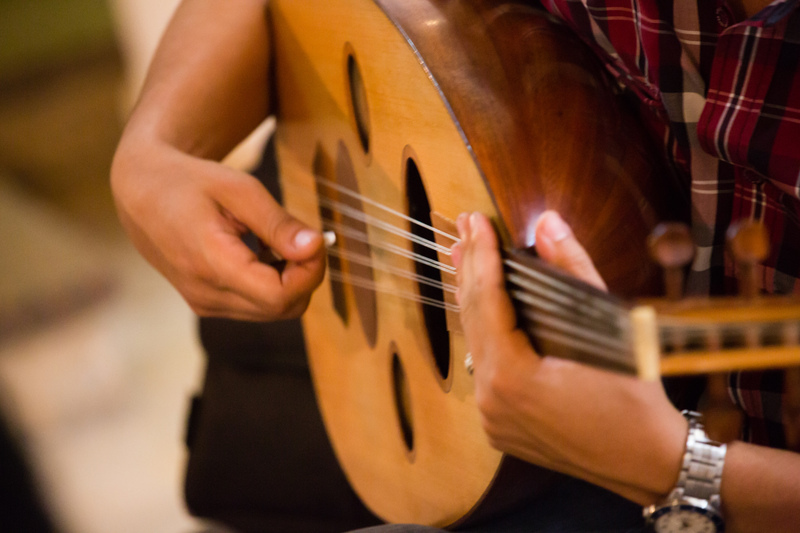 All members of the ECME have pursued their musical education in Egypt as well as abroad, and by now occupy important positions in major cultural institutions and/or other professional ensembles. 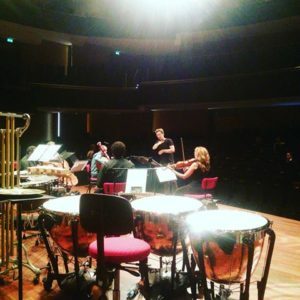 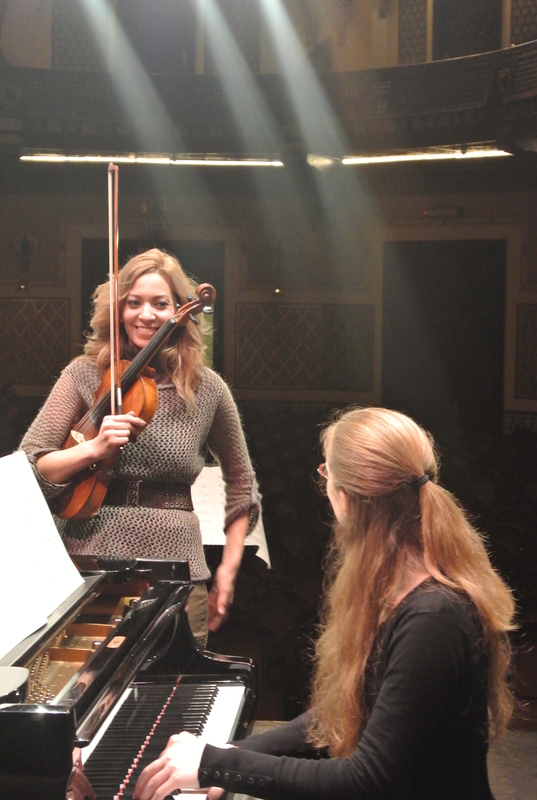 There is a strong desire among these performers to share their experience and pass on their practical knowledge by exposing students to important works of contemporary music. 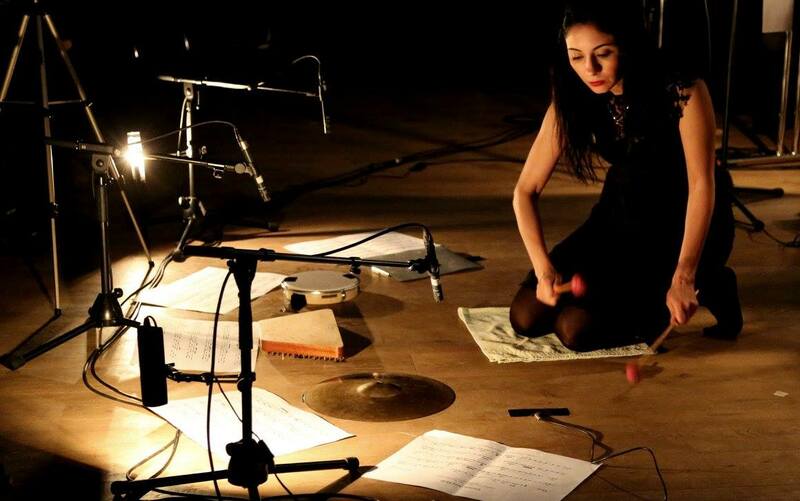 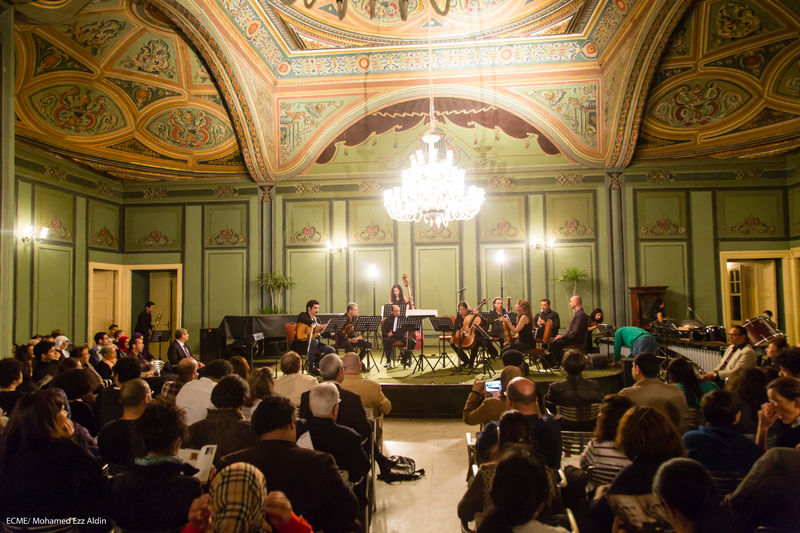 The concert series in the Ewart Memorial Hall in Cairo explore different themes, styles, epochs and regional characteristics of contemporary music. They are preceded by open rehearsals, and completed by lectures and masterclasses that provide deeper insight into the respective subject. 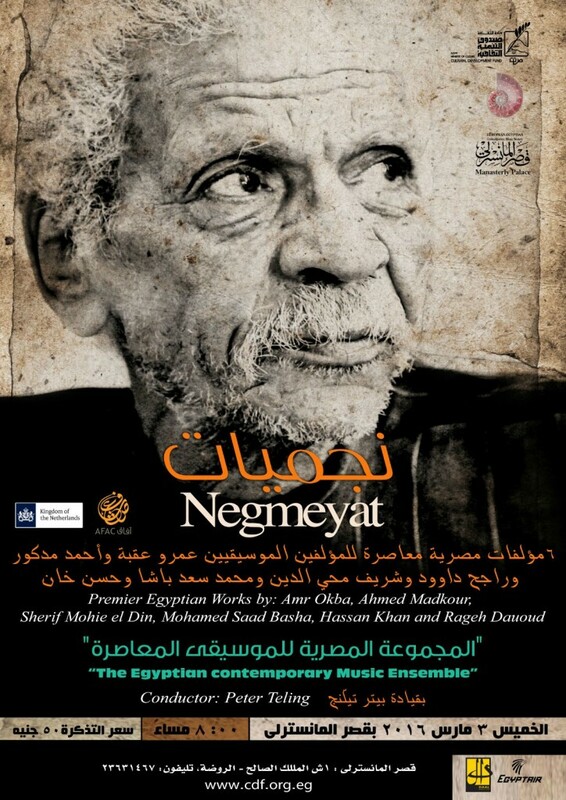 Beside its residence at the American University, the ECME has over a very short period of time become an eminent cultural ambassador for Egypt. 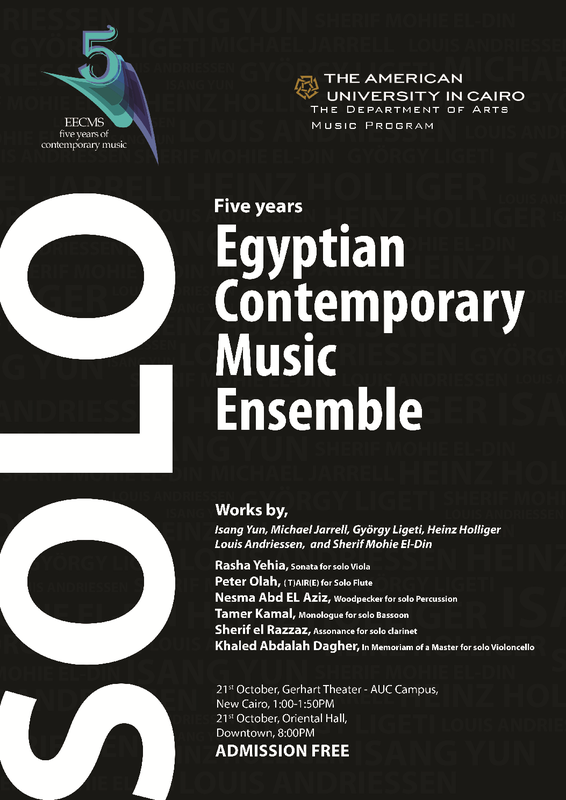 It is the only ensemble in the country to date to perform recent national and international productions in the field of contemporary music, and the only one to work with composers from other parts of the world who wish to develop new pieces with an Egyptian ensemble. 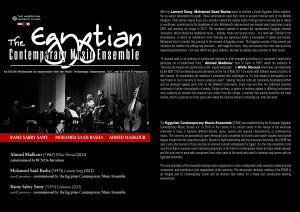 After a very successful presentation in Germany in November 2011 in collaboration with the renowned Neue Vocalsolisten Stuttgart and other German musicians and the first appearance of the Ensemble at a national festival in the course of the Cairo Contemporary Music Days 2012, the ECME celebrated its first international prestigious appearance the Mediterranean composers presentation Festival Prsences in Aix-en-Provence, the European Capital of Culture 2013. beside different cooperation in Egypt the ensemble is planing several European concerts in 2016-2017 and working with Egyptian, Arab and European composers such as Oscar Bianchi, Thierry pecou, Vykintas Baltakas, Amr Okba and Hassan Khan. 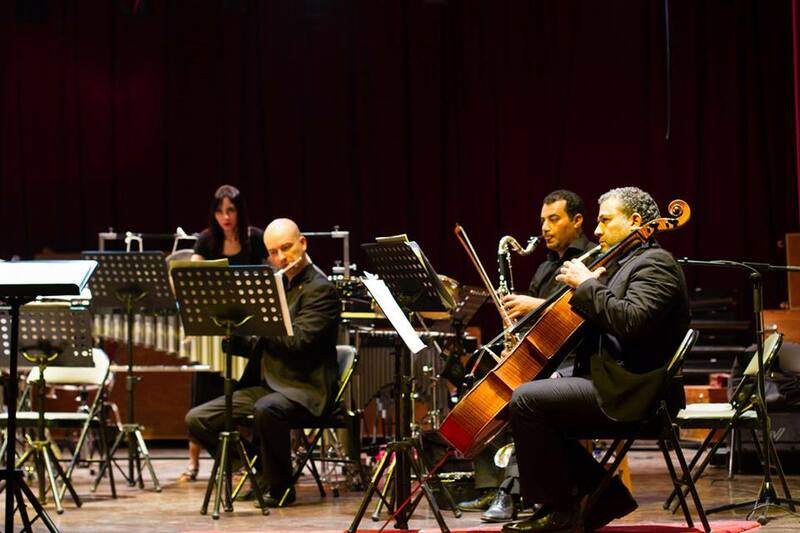 The Egyptian Contemporary Music Ensemble has made it to the international Gaudeamus Muzeikweek with five contemporary works carrying different falcons and messages to it but agreeing on the importance of the collision between the western and western cultures through music. the Dialogue between cultures started in Cairo long ago in Cairo with the European Egyptian Contemporary Music Society’s serious endeavours that started with small meetings between European contemporary composers and local Oud players. 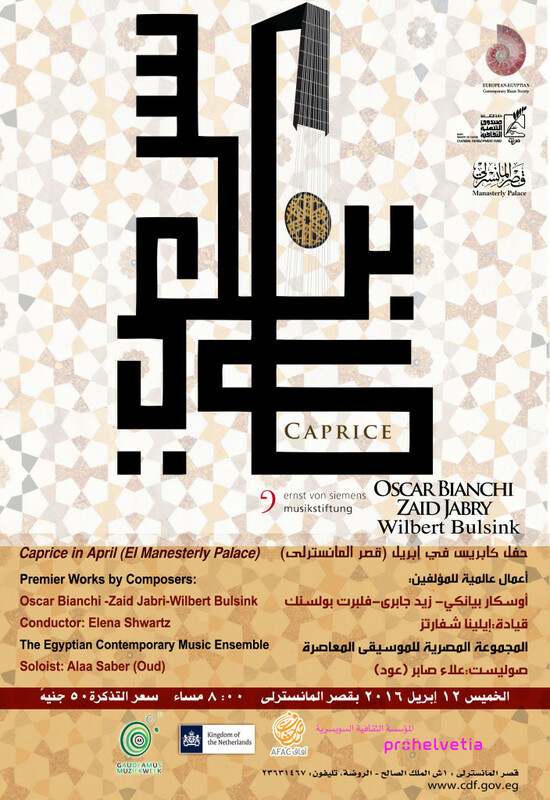 That later has developed into a bigger frame to include about 40 composers, musicologists, music critics and artists from about 20 different countries all around the world who cam to Cairo in April for a four-day forum entitles “Heritage and Modernity”. 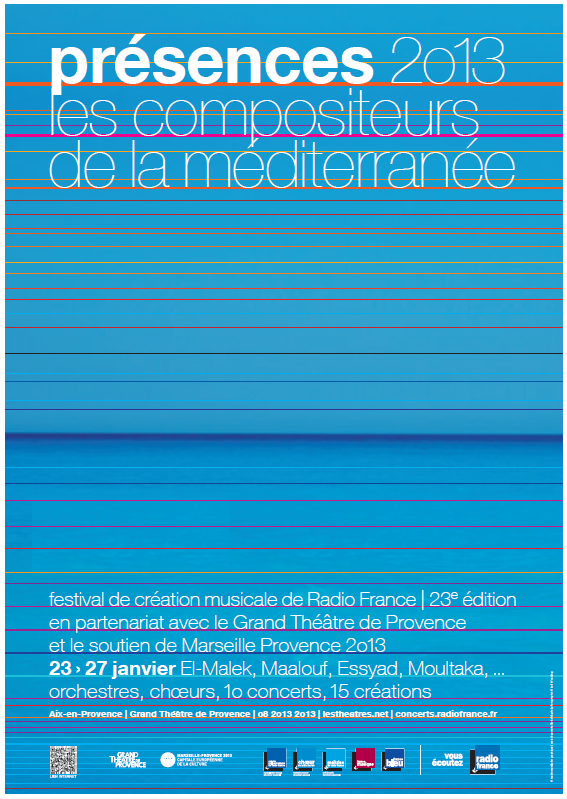 The forum has debated issues of expression of identity in Music and themes of modernism, post-modernism and contemporaneity in the East and the West and the different manifestations of such concepts in contemporary music. 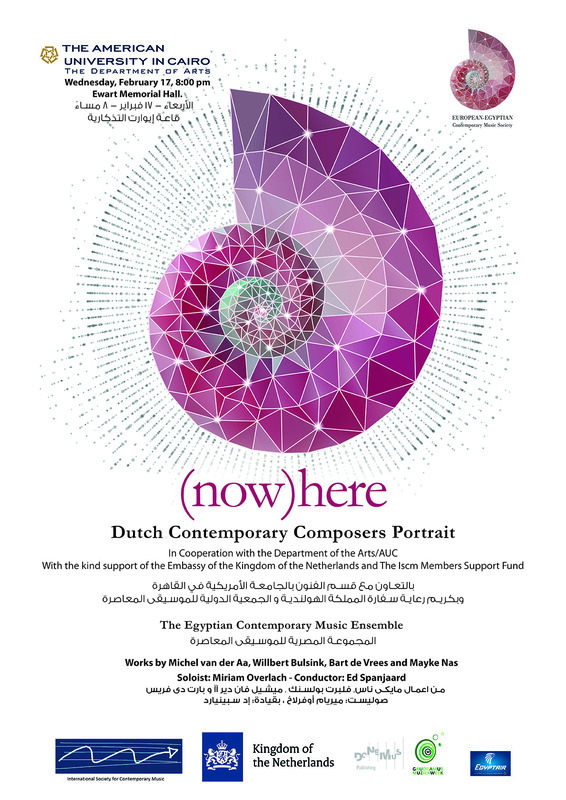 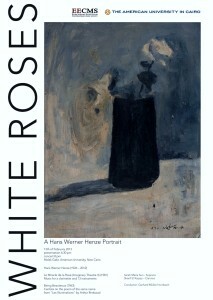 The ensemble as mentioned before is presenting 5 different contemporary works for prominent composers such as Bahaa al Ansary (Egypt), Zaid Jabri (Syria/Poland), Wilbert Bulsink (The Netherlands), Bart De Vrees (The Netherlands) and Last but not least the national poet of the Netherlands in 2014 Willem Jeths. 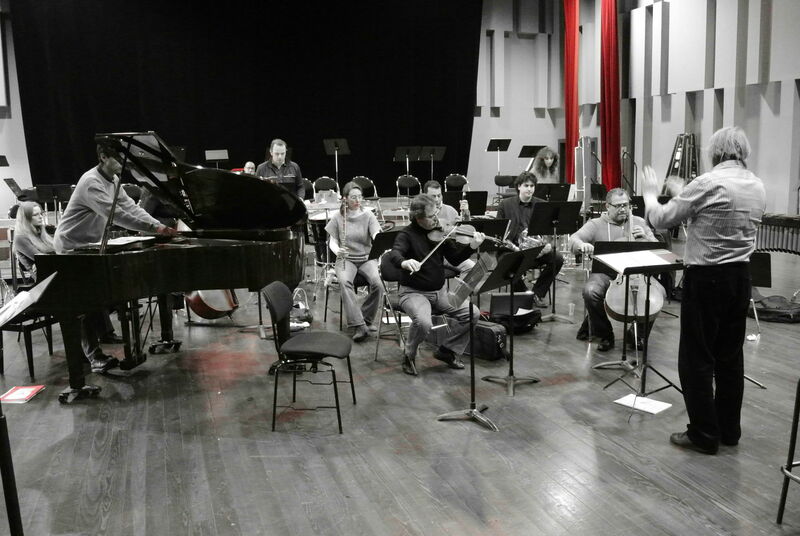 Most of these works try to bring a cultural element and theme of special to its composer, so we may see different shades of each composer that distinguish his musical language from the other. 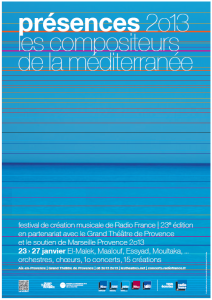 For example, Zaid Jabri, brings his very own percepion of the tranquil but vigorous Aegean sea and its waves in his composition “Fluctus” while Bahaa el Ansary brings the Eternity of the Nile to the dutch audience. 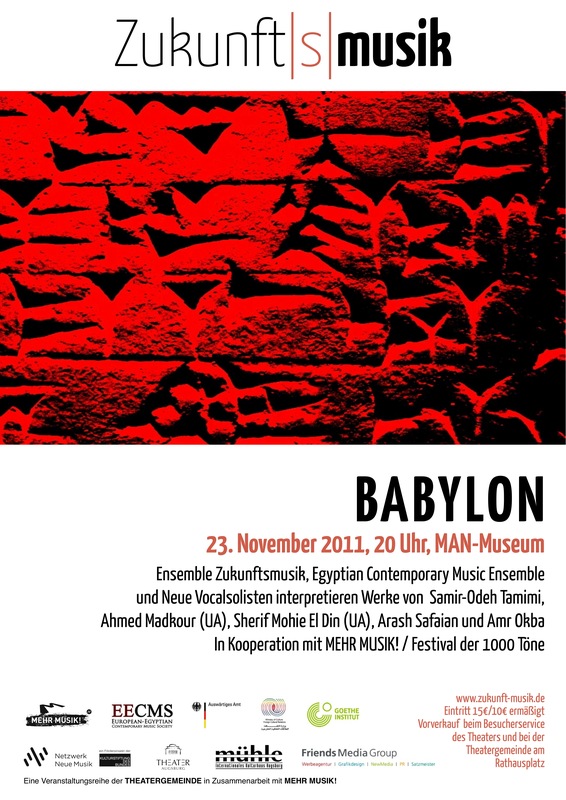 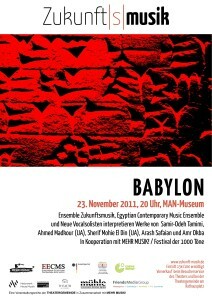 According to Bulsink his experience will be more on “combining different polyphonic techniques from the medieval and renaissance Europe with middle-eastern maqams and quarter tones”. 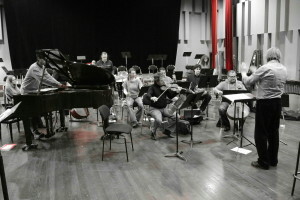 Such experimentation has been tried practically in Cairo in the concert “Caprice” within the course of the “Heritage and Modernity” Forum in which Jabri and Bulsink have took part and introduced works to audience in Cairo featuring these such new concepts that will be taken further and to different audience in September’s concert.